Introductions within the Scriptures are never simply just greetings. They are packed with rich theology, and often set a tone and agenda for the New Testament epistles. Such is no less true in the case of Paul’s letter to Titus. Paul’s salutation sets up the model of ministry for all pastors, by establishing the proper role, proper ministry, and proper means. The emphasis of the passage is on the details about Paul’s apostleship. It’s worth taking note of these details. Paul, as is customary, identifies himself as a “servant of god and an apostle of Jesus Christ.” On the one hand he is emphasizing the obligatory nature of his role. He is, literally translated, a “slave” of God. He is subject to the Lordship of Yahweh and serves Him. It’s a statement about his allegiance. Secondly, then, Paul points to his apostleship. This is his normal self-applied moniker. The label establishes his authority and sets the tone for what follows. Paul is writing as a servant of God and one sent out by Jesus Christ, i.e. he is one with authority. What Paul says now he says as a representative of Christ’s mission. Titus and all pastors must learn from Paul’s example here. His bond-service to God is an important starting place. Yes, the pastor has been given a level of spiritual authority, but he exercises that authority as, first and foremost, a slave to God. Paul’s humility as a pastor is in much need of duplication these days. The pastorate has become a means for self-promotion and personal fame in contemporary Evangelical culture. I know my own heart well enough to know how tempting the lure of personal glory is. But Paul’s sets a tone for thinking rightly about the pastorate. There is authority, yes, but it is paired with humility and slavery to God’s agenda. Paul moves on in his introduction to state the ministry results for which he labors. What most fuels Paul’s mission as a pastor is the “faith of God’s elect and their knowledge of the truth.” The passion of Paul’s ministry is the faith of others, their spiritual growth. I love the contrast here between Paul’s laboring for the faith of others, and the fact that such faith belongs to the “elect.” This word throughout Scripture refers to those whom God has chosen, or has “appointed to eternal life” (Acts. 13:48). His conviction about God’s sovereignty in salvation does not negate, in Paul’s ministry, his belief in the responsibility of his ministry. God ordains the means to salvation as well as the ends, and Paul understood He had a role to play in cultivating the faith of God’s chosen saints. He sees himself called to be an apostle “for the sake” of their faith. 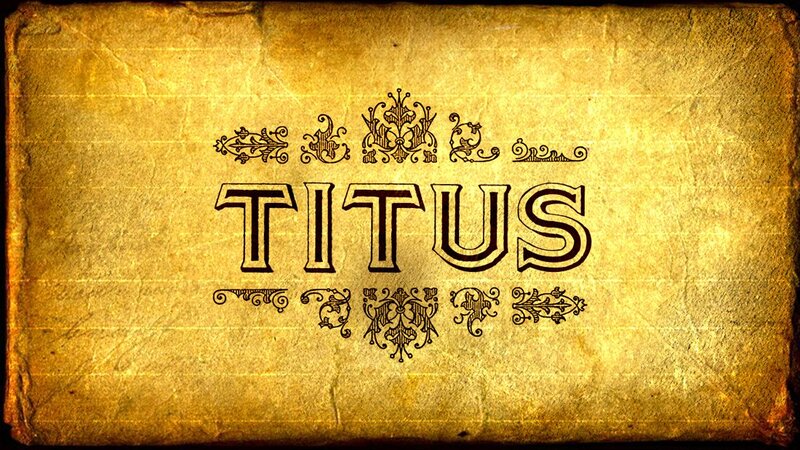 Titus needed to learn that he was to pour himself out in ministry to others. He was to “endure everything for the sake of the elect,” he was to understand his calling as for the “sake of the faith of God’s elect.” No other mission, task, or goal supersedes this one. No book deals, no building fund, no ministry strategies, no programs are more important than this basic reality: pastors are called to cultivate the faith of others. We have this primary responsibility and we must do all we can to see it realized. The primary means of this faith-cultivation is found in the word of the gospel. Here Paul emphasizes the means of his ministry. Proclamation in this passage need not mean, necessarily, “preaching” as we understand it today. Paul communicates this gospel in many ways through many formal and informal interactions. The point is the gospel, not the specific type of communication. The heart of his ministry is this message of Christ’s death and resurrection. God has revealed the “hope of eternal life” through the Word which has been entrusted to Paul. In fact Paul goes further by saying that he has been commanded by God to proclaim this message. He returns, then, to his role as a slave of God. There are many things that pastors may do, and many things that we can’t help but get caught up in (administrative stuff, vision-casting, etc. ), but there is only one thing that is absolutely necessary: the proclamation of the gospel. Paul sets the example for us even in this salutation, this is the primary strategy for fulfilling our mission. We never move-on from the gospel, it is always the means of salvation for men and women (Rom. 1:16). Many pastors would do well to reconsider their ministry in light of Paul’s words to Titus. These words are written to Titus, but in the sense that all Christians are “true [children] in a common faith,” they are written to us all. Pastors have this model laid out for them. Paul emphasizes here in the beginning of this letter what he is going to expound upon in the rest of the letter. The calling to Christian ministry is a serious one, and it begins with this understanding of proper role, proper ministry, and proper means.